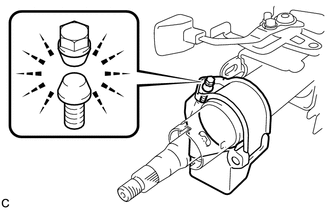 (b) Temporarily install the steering lock actuator assembly to the steering column assembly with a new tapered-head bolt. Be sure to use a new tapered-head bolt. 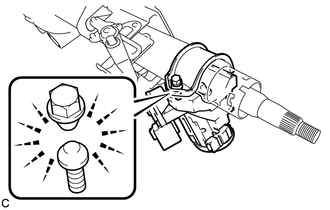 (c) Tighten the tapered-head bolt until the bolt heads break off. 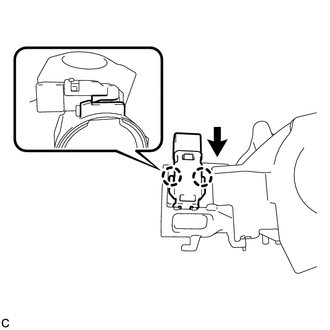 (a) Engage the 2 claws to install the unlock warning switch onto the steering column upper bracket. 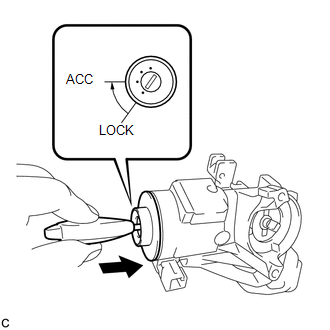 (a) Make sure that the ignition switch lock cylinder assembly is in the ACC position. 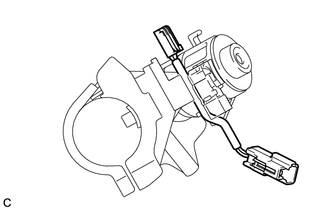 (b) Install the ignition switch lock cylinder assembly to the steering lock sub-assembly. 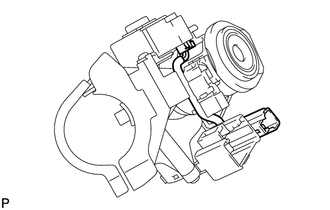 (c) Make sure that the ignition switch lock cylinder assembly is securely installed. (a) Install the solenoid wire to the steering column upper bracket. (a) Connect the solenoid wire connector to the key interlock solenoid. 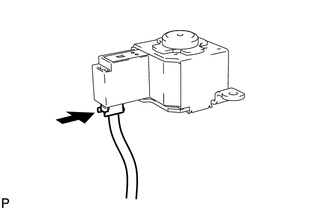 (b) Install the key interlock solenoid to the steering column upper bracket with the 2 screws. 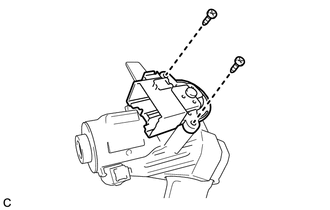 (a) Install the ignition or starter switch assembly to the steering column upper bracket with the 2 screws. 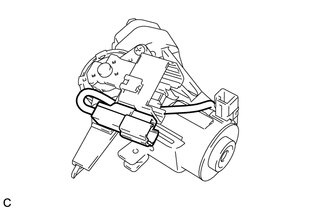 (b) Install the solenoid wire connector to the ignition or starter switch assembly. 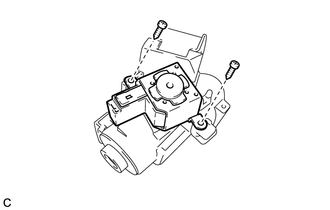 (c) Make sure that the solenoid wire runs securely through the gap of the steering column upper bracket as shown in the illustration. (b) Temporarily install the steering column upper with switch bracket assembly to the steering column assembly with a new tapered-head bolt.